Jack Binion had taken over most of the responsibility for running the World Series of Poker from his father Benny by 1978. Benny Binion was still the man that started it all at Binion’s Horseshoe, but his charismatic presence was now more as a figure head. The preliminary events saw Doyle Brunson win his fifth gold bracelet in the $5,000 seven-card stud event, and Gary “Bones” Berland picked up a pair of bracelets in razz and seven-card stud. Also, a young poker player named David “Chip” Reese picked up his first gold bracelet in the $1,000 seven-card stud eight-or-better event. Forty-two players signed up for the main event in ‘78, including the first woman competitor ever. Barbara Freer, from El Cajon, California, who anteed up the $10,000. So did the famous entertainer, Gabe Kaplan, and although he only lasted four hours in the tournament, he has been associated with the game of poker ever since. Brunson’s quest to become the first player to win three world championships in a row came up short when he busted even sooner than Kaplan, just two hours into the action. The tournament had expanded to four days in 1978, and at the start of the final day, young Bobby Baldwin held the chip lead. “The Owl” held 163,600, which was twice the amount of chips of his next closest competitor. In a move that would repeat itself in subsequent years, the television network filming the event pushed for influence of the prize money, as the persuasion of CBS helped institute a formal prize structure for the first time. The top five places would all walk away with prize money. 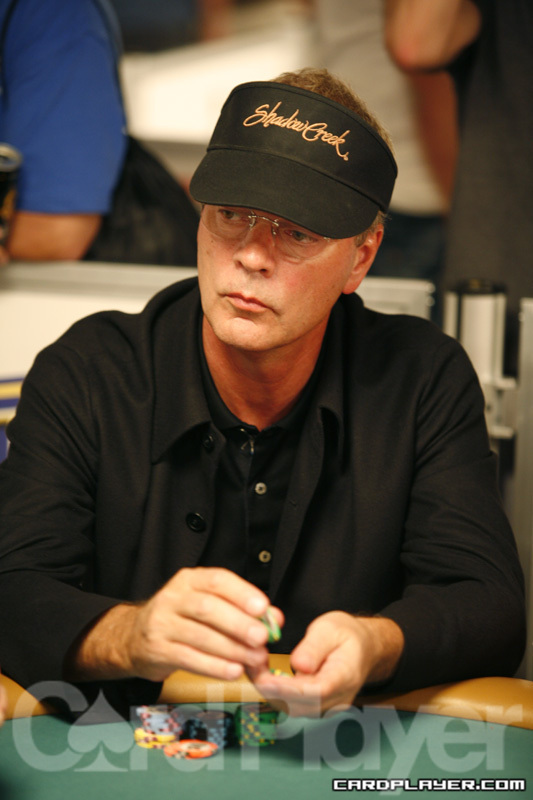 The unfortunate first-ever money bubble boy in the main event was Ken “Top Hat” Smith, who was eliminated in sixth place. The heads-up match pitted the young gun Baldwin against a familiar face to the final table. Texas road gambler Crandell Addington was making his second appearance in the heads-up match at a final table, and four hours into the battle he held the chip lead. Addington sat behind 275,000 while Baldwin had 145,000 sitting in front of him. After a dinner break was taken everything changed when the two players took their seats once again. Baldwin launched an aggressive attack and he forced Addington to lay down one hand with a 65,000 bet on the turn, and then Baldwin won 92,000 when Addington folded a few hands later. Baldwin had taken control of the match and he slow played the next two hands against Addington to increase his lead by 30,000 each time. Baldwin then extracted another 30,000 from Addington when he made a straight over Addington’s set of threes. The score now stood Baldwin: 370,000, Addington: 50,000. Addington limped into the final hand with pocket nines and Baldwin bet 10,000. Addington moved all in, but he soon discovered he had run into pocket queens when Baldwin turned over two ladies face-up on the table. The board was dealt K Q 9 and Addington had one remaining out. A 10 on the turn, and an ace on the river provided no help to Addington, and he finished in second place for a second time. Baldwin won the gold bracelet and $210,000.